Attention deficit hyperactivity disorder (ADHD), or attention deficit disorder (ADD) can be confusing medical terms that sound a bit scary when you hear them for the first time. But don’t be alarmed, because when you begin to understand what ADHD is and when you learn to manage this trait, ADHD can become a major asset in your life. The terms ADHD and ADD, as well as AD/HD, refer to a syndrome found in both children and adults, which is characterized by distractibility, impulsivity, restlessness and/or hyperactivity. When managed properly, it can become a gift in one’s life. Having ADHD is like having a powerful race car for a brain, which is inappropriately equipped with bicycle brakes. The treatment for ADHD involves strengthening those bicycle brakes–so you can start winning the races in your life. In our work as chiropractors who support ADHD cases, we see ourselves not as doctors who treat a disability, but rather as doctors who help people, adults and children alike, identify, develop, and celebrate their talents. That’s why we love to help with these cases! Combined Type: Symptoms of the above two types are equally present in the person. Dr. Ned Hallowell, leading authority in the world of ADHD, champions a “strength-based” approach to dealing with ADHD. The traditional, deficit-based model only addresses the defects and distresses ADHD can create in a person’s life. Dr. Hallowell has discovered that by identifying and focusing on a person’s strengths and talents, in addition to implementing strategies to manage their challenges, patients CAN achieve a more superior outcome. Dr. Hallowell also stresses that one of the great appeals to helping those who have ADHD discover their talents and help gain back their self-esteem, is how life changing this process can be for people. This is because left undiagnosed, and unaddressed, ADHD can all but destroy a person. The SHINE program can truly rescue a person from despair. We are excited to be working with Dr. Hallowell and his supporting team. Implementing this strength-based approach here at Bence Chiropractic Wellness Center is a wonderful opportunity. By working with children to identify the amazing talents they possess, as well as helping them to recognize the obstacles they may face, we can make this program a unique healing and growing experience that will change lives. We work together with the children and their family, in order to help them develop strategies at home, work, and school that focus on concrete, positive change. This is what we refer to as the humanistic side of the SHINE protocol. Our SHINE program is extremely comprehensive and provides exactly what you will need in order to develop a very strong foundation for continued growth. The following is the general structure of the 3 month intensive SHINE program. You will learn more specific program information at the orientation. Need a little more information? View our SHINE brochure here. How Can SHINE Help My Child or Me? Dr. Ned Hallowell says, “ADD is like having a Ferrari brain with bicycle brakes.” Can you imagine transforming one of your most significant challenges in life into one of the most profound opportunities for growth, success, and personal development? This is what SHINE has the potential to offer you. 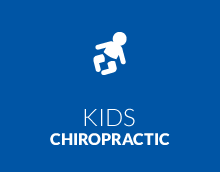 By combining the Hallowell Protocols with our specific chiropractic techniques, we can help your child begin to use this trait as a resource to do wonderful things in life. On this journey, as this process begins to unfold, there will be many challenges; “ups and downs”. This is par for the course. Rest assured that you now have, in us, another member on your team who can support your child and your entire family. The name SHINE says it all because it is our mission to help your child, you, and anyone else who battles with ADHD/ADD each day of their lives. Together, everything becomes possible and it would be our honor to work with your child in order to HELP THEM AND YOU SHINE! Dr. Edward (Ned) Hallowell, M.D. 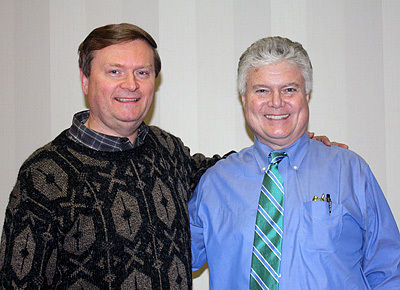 Dr. Ned Hallowell is a child and adult psychiatrist. Graduating from Harvard College and Tulane Medical School, he is also the founder of The Hallowell Centers in Sudbury, Massachusetts and New York City, New York. From 1983 until 2004, he was a member of the Harvard Medical School faculty. He retired from academics in 2004 to devote his full professional attention to his clinical practice, lectures, and the writing of books. Dr. Hallowell has authored eighteen books on various psychological topics, including attention deficit disorder, the power of the human connection, the childhood roots of happiness in life, methods of forgiving others, dealing with worry and managing excessive busyness. His newest book, SHINE: Using Brain Science to Bring out the Best in Your People, was published by Harvard Business School Press in January 2011. CHIROPRACTORS DON’T TREAT ADD/ADHD. We apply adjustments and other supportive measures that uniquely facilitate the body’s awesome self-healing mechanisms. We measurably impact the central nervous system and from that, all else follows.